Dr. Schwartz is Dean Emeritus at the University Of Florida College Of Pharmacy. He was educated at the Brooklyn College of Pharmacy, where he received his B. S. in 1952, and holds the MS from ColumbiaUniversity (1956) and Ph. D. from the University of Wisconsin (1959). He has served as a research scientist in the pharmaceutical industry and as faculty member and Dean in two Universities, State University of New York at Buffalo and the University of Florida where he was Dean from 1978-1996. He is the author of over 60 publications in the pharmaceutical sciences, pharmacy education and strategic planning. He served on the U. S. Herbal Pharmacology Delegation to the PeoplesRepublic of China in 1974. In 1989-90 he served as Scholar-in-Residence at the American Association of Colleges of Pharmacy. Dr. Schwartz served as a member of the Board of Trustees of the American Pharmaceutical Association from 1982-84 and the Board of Trustees of the APhA Foundation from 1985-94. He chaired strategic planning committees for the Academy of Pharmaceutical Sciences and the American Association of Pharmaceutical Scientists. In 1990 he was appointed to the American Council on Pharmaceutical Education for a 6-year term. He is an elected Fellow of the APhA Academy of Pharmaceutical Research and Sciences, the American Association of Pharmaceutical Scientists, and the American Association for Advancement of Science. In 1986 he received the APhA Foundation Research Achievement Award for Stimulation of Research and in 1992 was named a Distinguished Alumnus of the Arnold and Marie Schwartz College of Pharmacy and Health Sciences (formerly Brooklyn College of Pharmacy). In 1995 he received the Hugo H. Schaefer award from the American Pharmaceutical Association. He is a member of Rho Chi Honor Society, and Phi Lambda Sigma, the Pharmacy Leadership Society. He served on the Board of Big Brothers and Big Sisters of Greater Gainesville and was President 1999-2000. 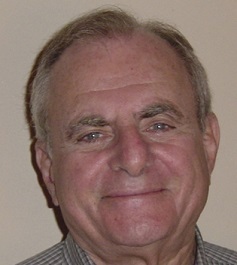 He also served on the Board of the Jewish Council of North Central Florida (President 2000-02). He completed the Leadership Gainesville program in May 2002. He has been active for many years as a consultant in strategic planning for a number of Colleges and professional and community organizations. He is a member of the Future Search Network. See http://www.futuresearch.net.